The 2017 ADHD ANNUAL CONFERENCE attended by more than 120 people on Sat 14 October 2017 was all about SURVIVING & THRIVING WITH ADHD: How to Build Resilience To Life's Challenges. Dr TONY MASTROIANNI on ADHD DEPRESSION & MOOD DISORDERS. More details about the program and presenters can be downloaded. All the speakers who spoke ex gratia answered many questions from participants in the foyer afterwards. ADDults with ADHD greatly appreciate their valuable contribution without which there would be no conference. The next event is ADHD Awareness Afternoon on Sat 2 Dec 2017. More details will be published soon. In the meantime the events team at ADDults with ADHD are already thinking about the conference next year. The 2017 ADHD ANNUAL CONFERENCE is all about SURVIVING & THRIVING WITH ADHD: How to Build Resilience To Life's Challenges. Conference speakers and sessions will provide current, evidence-based information, tips and resources, to help attendees build a happier, healthier and more productive life. Please get to the Conference by 8.30 am. This is so that you have enough time to sign in. It's a popular event - there will be queues at the front desk signing in. Register now and reserve your seat. Tickets are selling quickly! Proudly brought to you by ADDults with ADHD, a not for profit, volunteer run, organisation providing education and support for over 21 years. 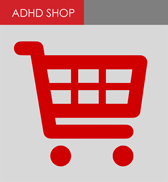 On Sunday 12th November, Sydney ADHD Meetup Group are planning an awesome day. The group will meet at the Rocks, Circular Quay, before embarking on a discovery trek to see some of Sydney Harbour's best kept secrets. Organisers say it is a day of exercise, fun and sharing peoples ADHD stories and tips. The group will explore sites including the Museum of Contemporary Art, Dawes Point convict precinct, Barangaroo Reserve and relax over lunch at The Hero Of Waterloo Hotel. Importantly, those attending will be with nice people who understand ADHD. ADHD HEROES MAKE GOOD AT CITY2SURF! On Sunday 13 August team ADHD Heroes took part in the 2017 Westpac City2Surf. The iconic 14km fun run is known globally as one of the best. The team joined over 75,000 at the starting line. Adrenaline flowed, music played and tens of thousands watched from footpaths, rooftops and cafes. Runners and walkers of all ages and abilities were cheered on by a huge community of family, friends and spectators. ADHD Heroes, formed six months ago by nine dedicated supporters, needs to raise $10,000 to ensure continuation of vital support services to adults and families who live with ADHD. Members include those grateful for the life changing support received from ADDults with ADHD and volunteers. Special thanks to neuroCare Group proud sponsors of our teams excellent t-shirts. Please visit their website. City2Surf is the main 2017 fundraising activity of the ADHD Centre ™, an initiative of ADDults with ADHD, a volunteer run charity dedicated to improving the lives of adults and families dealing with ADHD. Thanks to all who have donated so far. We still need help to reach the target! IF YOU KNOW THE IMPACT ADHD CAN HAVE ON A FAMILY, WORK MATES OR A LOVED ONE, HELP US HELP THEM. BE AN ADHD HERO. DONATE NOW. CLICK HERE. ADHD IS OFTEN PRESENTED AS SOMETHING TO DEAL WITH, BUT IT CAN OFTEN HAVE UNEXPECTED BENEFITS. At the last census, 6.8 per cent of Australians were diagnosed with ADHD. Believe it or not, people with ADHD are 300% more likely to start their own business and many business leaders have ADHD. People like Richard Branson (founder Virgin Airlines) and Ingvar Kamprad, Swedish founder IKEA (who says he adapted the inner workings of his business to compensate for his ADHD and dyslexia). Jeremiah Hartman, 35 has attention deficit hyperactivity disorder. He worked in unfulfilling jobs until he was diagnosed at 27 with ADHD. It was a defining time. He identified his ADHD strengths and harnessed them into a creative tool that helped him succeed. The positives aspects of his ADHD (quick wit, high energy, enthusiasm and creativity) have been crucial to his business success as Sydney based professional MC (Master of Ceremonies) and runs events and charity fundraisers. TV's most creative chef, Heston Blumenthal tells how "ADHD helps his imaginative juices flow." Scientists believe ADHD helped society by providing risk-takers who identify dangers and map out boundaries. Is there an upside to ADHD?